Herbs are the complex compound and are used in various industries like flavoring, food, medicine, perfume, Cosmetics, Textile, Leather and many more. Depending upon the products various processing techniques are used for Herbal extraction. The raw material cleaning is provided to remove unwanted materials from the feed. The raw material is then washed with the help of a conveyor and washing water tank arrangement. Cleaned raw material is fed to a dryer to remove the moisture from it before crushing and then passes through a crushing system. Crushed feed passes through a series of pulverizers to ensure the right size of the feed material. The grounded particles are screened and fed to extraction unit where with the help of suitable solvent the herbs are extracted. 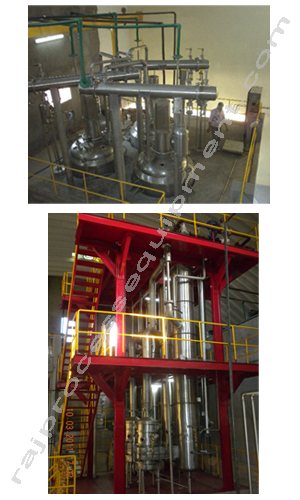 The extract is filtered in a filtration system and concentrated in evaporation system and converted into powder with the help of a spray drying system. 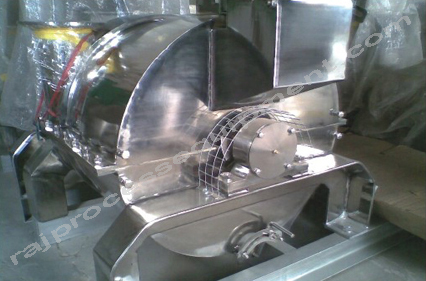 The dried product is packed in suitable sizes with the help of packing machine.